Intuit released a recent update, R6, which caused the Queen’s QuickBooks file to crash numerous times while installing. Fearing her royal subjects would encounter the same problem, she contacted Intuit, and was informed that the newest R7 update would replace the R6, and not cause any further crashes. If you had previously tried to install the R6 update, go ahead and install the R7 update. Note: If you are using Intuit Merchant Credit Services, the install of R7 will require that you change your password every 90 days. We recently released a new update for QuickBooks Pro, Premier, Simple Start 2010 and Enterprise 10.0 and wanted to let you know it’s now available. And as always it’s free of charge. This latest QuickBooks Update includes password security compliance requirements for users of QuickBooks Merchant Services. More information on this topic can be found at http://security.intuit.com/pci-dss.html. Additionally this update fixes a bug which in some circumstances caused QuickBooks to close (or crash) when users attempted to print, delete or edit paychecks. In some instances users would receive an error message with either a c=74 or c=331 error code. If you’ve enabled the QuickBooks Automatic Updates feature, QuickBooks will prompt you to install this new update as it normally does. 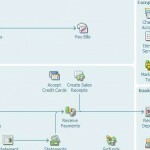 Or if you prefer to manually download these updates you can find them at www.quickbooks.com/productupdates.